The May stated meeting started with an open presentation on the accomplishments of Baylor University & the Waco Scottish Rite Foundation’s Camp Success. Brother Claude Ervin gave the history of the program and outlined its many accomplishments over the years. WM Brown then presented a check to the WSRF to help with the 2015 summer program of Camp Success. Thanks go to Brother Dave McHam and the fundraising committee for both our charity raffle fundraiser and our yard sale fundraiser. Our charity raffle netted over $4000 to charity. The yard was a great day of fellowship as our brethren greeted shoppers and enjoyed the bartering. Some shoppers went home with some really great bargains. I’ll begin this by thanking the lodge for allowing me to serve as the Worshipful Master for 2014-2015. It was truly an honor to serve in a positon that was held by many of our city’s founding fathers and, more recently, some of the leading businessmen and prominent leaders in our community. The June election will be bitter-sweet for me. Everyone who has served as WM knows it takes a lot of time and work (and worry at times) so it will be a welcome relief. Yet, it will be a sad time for me as I pass the torch to our new WM. I offer my best wishes to our new leadership. Another Masonic year is about to come to an end. Waco 92 has had a great year. I would like to take this time and thank Br. 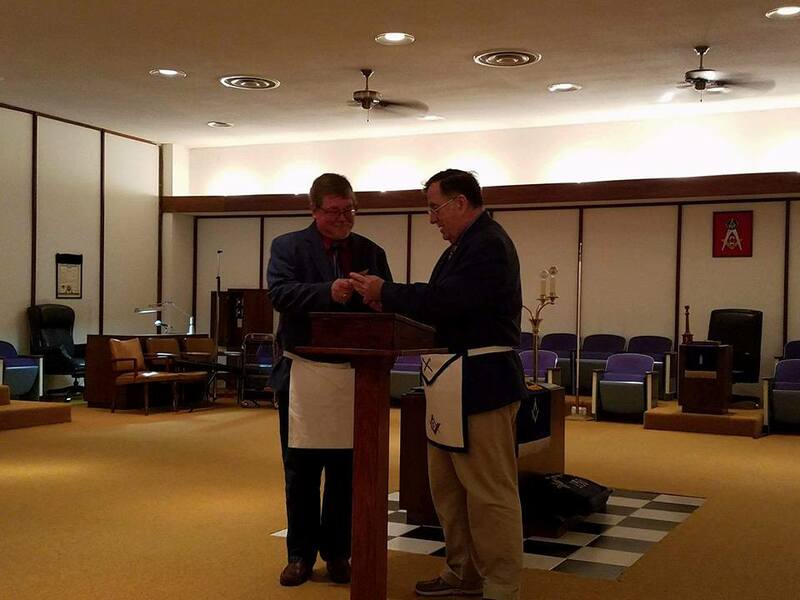 Ed Brown for leading us this year as the Worshipful Master of Waco 92. Be sure and give Br. Brown a “Job well done” the next time you see him. Five short years ago when I was the Worshipful Master of Waco 92, Br. Brown was my secretary. It has been my pleasure to serve Br. Brown as his secretary during his year as Worshipful Master. Kudos to Br. McHam and the Fundraising Committee. The raffle and yard sale were very successful. Thanks to everyone who helped out with both events. Brethren, we still have several members who have not paid their 2015 dues. Please get your dues in before Tuesday, June 23, 2015. That is the absolute deadline for the 2015 dues. Any member that does not have his dues in by that date will be suspended for nonpayment of dues. A final notice for dues payment will go out in the mail on June 1st. Our June stated meeting will also be the election of officers for the upcoming 2015-16 Masonic Year. Please be in attendance for this important meeting. I hope that everyone has a safe summer. With schools being out for summer vacation, I am sure many of you will be out on the road having fun with family and friends.